ICANN, the private, non-profit governing body that oversees, amongst other things, the domain name system, is mulling a plan that would accelerate the introduction of hundreds of new top-level domains (TLDs). Under the plan, companies and organizations wanting to run their own TLD may be able to express interest in doing so as early as the middle of this year. The plan has sparked controversy for an obvious reason: the introduction of hundreds of new TLDs would be a nightmare for businesses. Right now, businesses have to protect their trademarks across a handful of TLDs (.com, .net, etc.) and, in many cases, country-code domains (.co.uk, .es, etc.). But if ICANN opens the floodgates to new TLDs, businesses will find themselves having to defend their trademarks from cybersquatters across a potentially unlimited hodgepodge of them (think everything from .football to .cooking). For this reason, major corporations and their legal representatives have been fighting to ensure that if ICANN proceeds, it makes sure that the new TLDs are implemented in such a way that respects their intellectual property rights. And that doesn’t require these corporations to shell out big bucks buying thousands of new domain names. Unfortunately, any measures ICANN takes to protect big corporations aren’t likely to benefit smaller businesses. They will have to decide whether or not it’s worth trying to defend their names. For businesses in general, it’s unlikely that the new TLDs will solve the “there aren’t any more good domains available” problem. Sure, if you sell chairs, for instance, chairs.com is already taken. But being able to register chairs.discount or even cheap.chairs isn’t likely to be much of a consolation. .com will likely always be king because it’s top of mind with consumers. 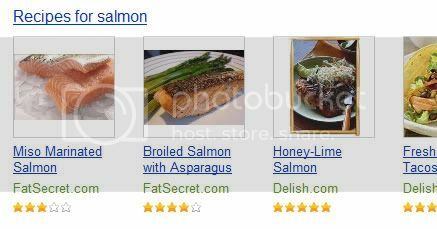 And even though Google’s Matt Cutts has previously stated that Google doesn’t give .com more weight, the fact that .com is enthroned means that top SERPs for popular keywords are almost always filled with websites residing at .com. For consumers, hundreds of new TLDs will probably go unnoticed for the most part. I can hardly remember the last website I visited that sported a .biz or .info TLD. But new TLDs could help scammers take advantage of consumers. Some, for instance, might be tricked by a phishing website at, hypothetically, www.hsbc.savings. That in turn creates yet another headache for businesses: dealing with the possibility that new TLDs will be used to con their customers. At the end of the day, the only party that will really benefit from hundreds of new TLDs is ICANN, which will rake in millions of dollars from companies and organizations wanting to run their own TLDs. Right now, some say there are already hundreds of likely bidders for new TLDs. Unfortunately, in this case, what’s good for ICANN is not good for the internet. Photo credit: rangesoss via Flickr. shopping, is adding another niche to its portfolio: recipes. Caution: eye-poppingly cool links ahead. If you haven’t yet heard of augmented reality, or its applications in marketing, it’s time to start working on some serious mind-expansion. AR may be brand new cutting edge technology, but it’s already started creeping into marketing campaigns from organizations ranging from GE to Esquire magazine…even the US Postal Service. Adam Broitman, partner and ringleader of the New York based agency Circ.us, has been preaching the AR gospel — and working on some groundbreaking campaigns. We caught up with him to ask what augmented reality is all about, and what marketers should being doing to prepare for this next wave of radical technological possibilities. Search is indisputably the de facto way we navigate the internet. More and more, it’s creeping into our offline lives as well. As far back as a decade ago, studies were commissioned on how television viewers searched on-screen program guides, for example. Aspects of search, user experience and usability are now creeping into even more non-digital and mundane aspects of life. Even shopping for groceries. Case-in-point: Self check-out machines have become a common sight at big box retailers, and recently they’ve started to appear in grocery stores as well. They afford both efficiency and cost-savings for retailers, right? Not without the intervention of keyword and usability experts they don’t.